Only 5 left! This item ships in 1-2 days. 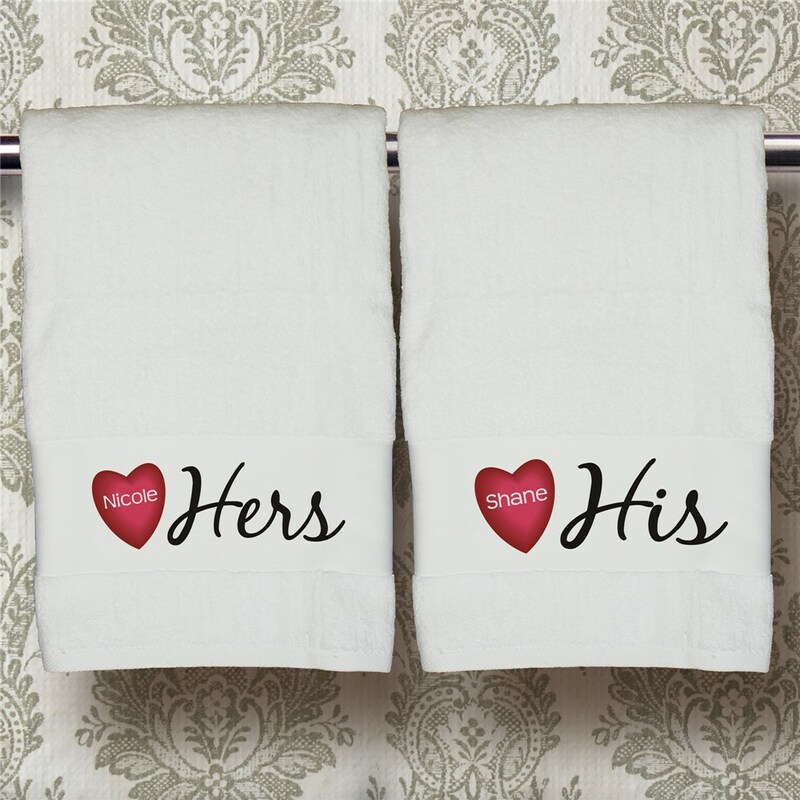 Sharing a bathroom is a true commitment to each other, so why not celebrate this unity with Personalized His & Hers Bath Towels. A perfect gift for that special couple or for yourself! Buy two for a unique wedding shower gift. Your His & Hers Personalized Bath Towel is available on our soft premium white 100% cotton bath towel, measuring 27" x 50", and is machine washable. Includes FREE Personalization. Personalize your bath towel with any name and please choose His or Hers. Each bath towel is sold separately. If you would like two bath towels; one for each of you with unique personalization please add this item to your cart separately. GiftsForYouNow.com is your home for great Personalized Valentine's Day Gift Ideas. We offer all kinds of great gifts for your Sweetheart including many Unique Valentine's Day Gifts, too!